Spark a bit of wanderlust with these just-for-kids travel books. Not only do these sturdy board books transport toddlers to places like Japan ($5.23), Italy ($5.51), and France ($5.95), but they also deliver age-appropriate lessons on colors, numbers, and shapes based on landscapes, landmarks, and culture. With 18 titles to choose from, This Is… picture books walk young readers through the sights, sounds, and history of Paris ($12.95), Ireland ($13.41), Venice ($14.63), and other great countries and cities around the world—with a little humor and beautiful illustrations. 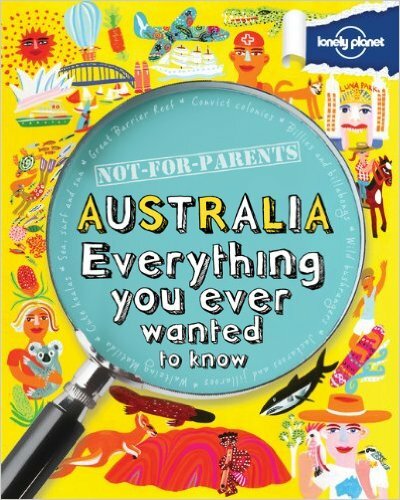 Big kids will get a kick out of this series, which takes an “everything you ever wanted to know” approach to exploring the globe from China ($13.41) to Australia ($13.88) to Africa ($12.99). They’re chock-full of fun facts, folklore, and other not-your-average information.